South African legend of song Miriam Makeba who captivated audiences around the world since the 1960s, died in Italy after collapsing onstage late Sunday evening, November 8. Makeba was performing her well-loved classic “Pata Pata” when she collapsed and was rushed to a nearby medical facility. She had always claimed that she would be onstage until the day she died. The Pineta Grande clinic in Castel Volturno, near the southern city of Naples registered her death the result of a heart attack. The Johannesburg native had been banned from entering her own country by the apartheid government for more than 30 years, after she participated in an anti-apartheid tribute, returning only at the request of Nelson Mandela in 1990. 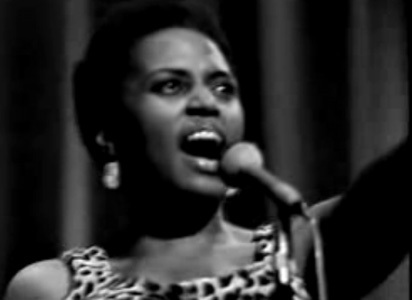 During her years in exile, Makeba performed with musical legends from around the world, sharing the spotlight with jazz diva Nina Simone, maestro Dizzy Gillespie, Harry “Banana Boat” Belafonte (who introduced her to the world), Paul Simon, and performed for world leaders such as John F. Kennedy and Nelson Mandela, who became a close friend. “Her haunting melodies gave voice to the pain of exile and dislocation which she felt for 31 long years. At the same time, her music inspired a powerful sense of hope in all of us,” Mandela said in a statement. He also said it was “fitting” that her last moments were spent on stage. Makeba’s music was very popular in Jamaica during the late 60s as well. Her trademark cropped, unprocessed hair sparked a new look for ladies called the “Makeba”, just before the “Afro” hit the scene.